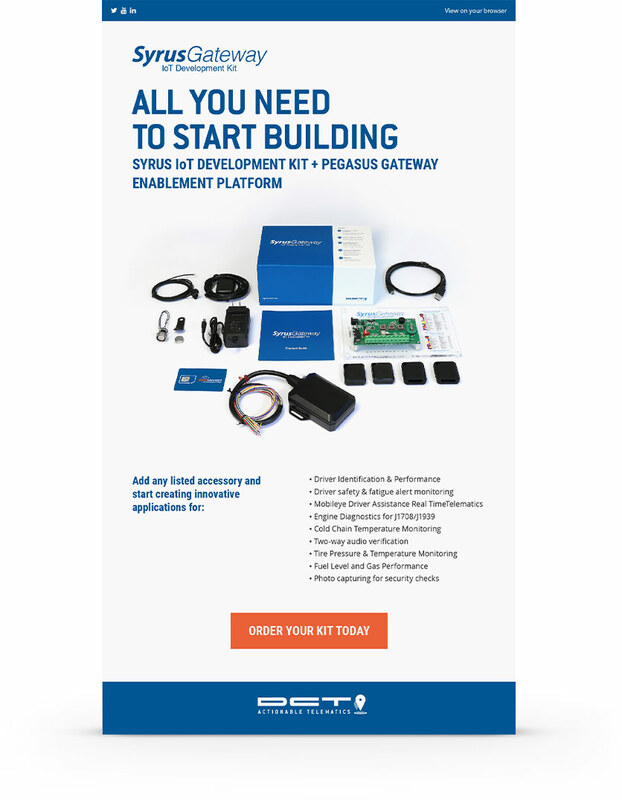 For more than 15 years DCT has been integrating software and hardware for all tracking needs, managing data to provide solutions for today’s eco-systems, improving the performance of companies in a wide range of industries. 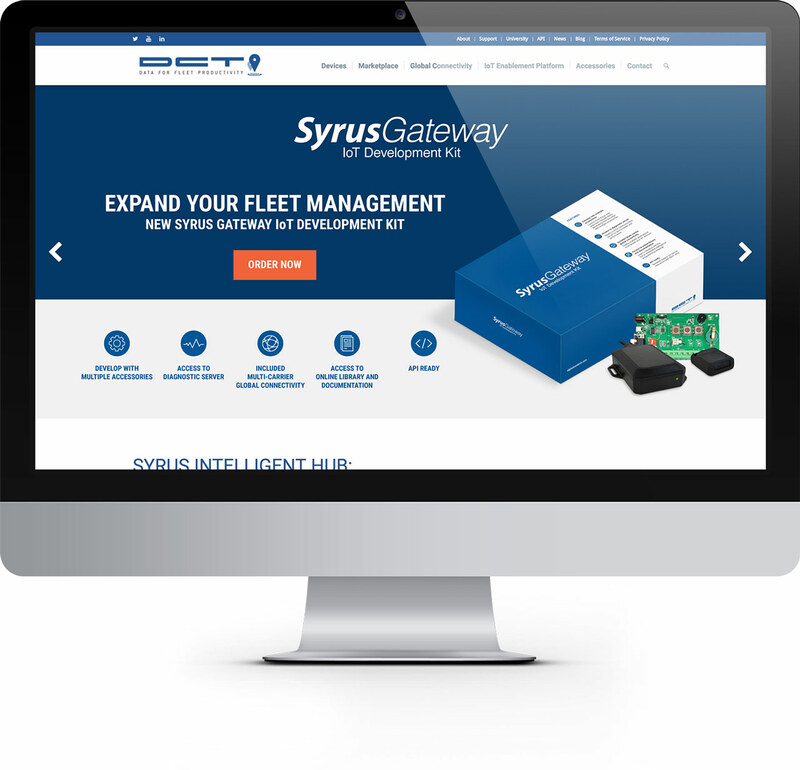 From telecommunications and transportation to fleet management in Latin America. 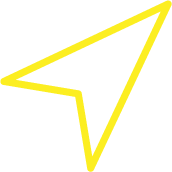 The company biggest strength is that its products perform better because the data delivered is processed with their own APP called Pegasus. We needed to promote the use of their hardware and software and most clients are integrators in Latam. 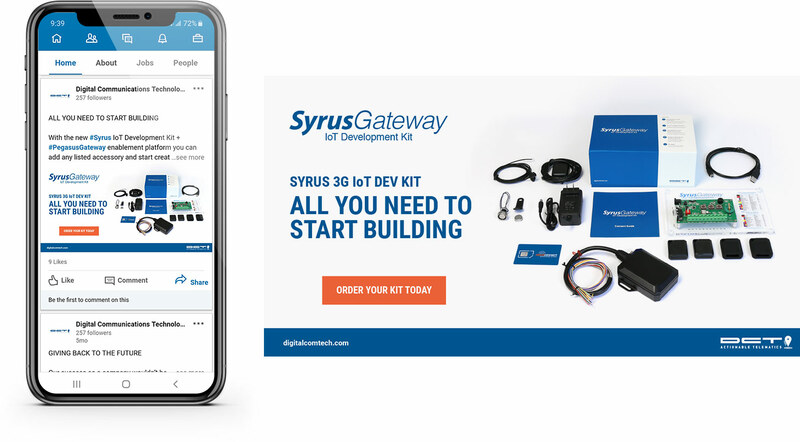 We created the Syrus IoT Development Kit in order for more developers to learn about all their software and hardware capabilities. We designed the packaging, as well as promoted its use digitally through an e-blast campaign and social media content directing you to their online store.